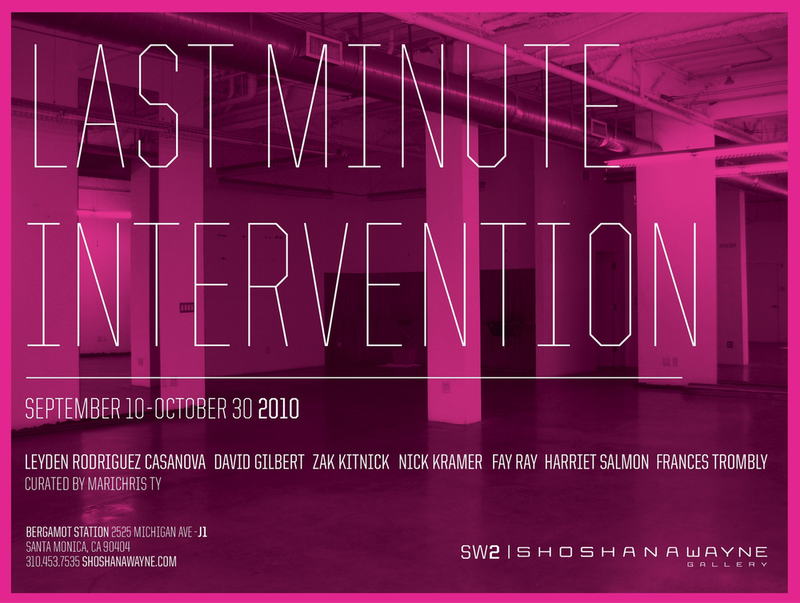 Shoshana Wayne Gallery is pleased to present the inaugural exhibition of the SW 2 initiative. Zak Kitnick, Fay Ray, Harriet Salmon, and Frances Trombly. The exhibition utilizes a recently vacated storefront in Bergamot Station. Formerly a hair salon, the artists in the exhibition seek to address the peculiarity of the space with interventions of their work. The space is left as it recently was, leaving relics of the beauty industry behind with installed sinks and walls flanked with mirrors. The artists in the exhibition directly utilize the space, and have chosen to create and place work, which engages with the eccentricities of the space and its past usage.